Fire Commissioner Salvatore Cassano didn’t sugarcoat how fire company cuts would affect the city during a City Council hearing this morning. To close a multi-billion dollar budget gap, the Bloomberg adminsitration is proposing to shutter 20 fire companies to save $55 million next fiscal year. 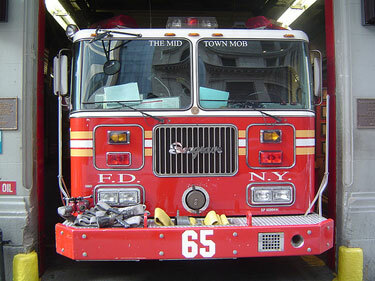 The adminsitration has already reduced staffing from five to four firefighters on 60 engines — a move fire unions are challenging. The City Council successfully averted fire company closures for the past three years by plugging the department’s budget with its own discretionary funding. One councilmember this morning couldn’t promise they would be able to do the same this year. It’s still unclear what companies would be affected. The Fire Department does not have to release a list until 45 days before the companies are scheduled to close. Many council members and the speaker’s office have said preventing the company closures is a priority this year. But with 105 senior centers and more than 6,000 teachers on the chopping block, it’s unclear what the council can afford to save. The chair of the Committee on Fire and Criminal Justice Services, Elizabeth Crowley, criticized the department’s proposed cuts this morning — in particular the staffing reductions on 60 engine companies. The priorities she laid out today are in line with those of the Uniformed Fire Officers Association and the Uniformed Firefighters Association. Both of those unions have been major contributors to her campaign account (For more on the connections between money and politics, see our new tool: Councilpedia). A really interesting examine, I won’t concur totally, but you do make some extremely valid points.